le shopper: a britique: Keri Hilson- What a Night! 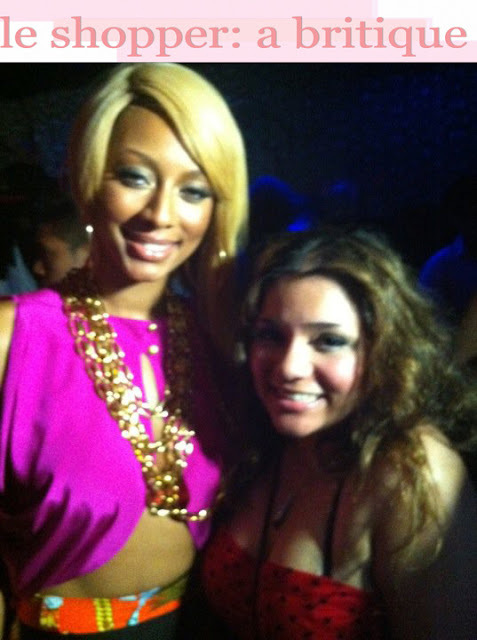 Keri Hilson- What a Night! I hope everyone's Friday night was lovely- my was tres busy... a lot of T.O. Last night I celebrated a lovely evening at Tryst nightclub in the heart of Toronto's party district. I was there to celebrate two old friends of mines 21st bday parties! These 2 ladies Annu & Kavita, have been in my life since grade 3 and grade 4... It's nuts, but I love the nostalgia of the whole thing. We'll always have those bizarre memories of the craziness that occurred at our elementary school: Tall Pines- aka the capital of girl fights haha. BUT still the place I made life long friends- and actually learned a thing or two. I loved Tall Pines! Earlier that night- before the very fashionably late party gals arrived my love Alycia, who've I've loved and has been literally a BFF since grade 7, and I partied as a duo before being stunned by the celeb of the night- the one and only Keri Hilson! To our surprise- the club was legit in their gaffing of the celeb. I find these days you can never really trust the "press", funny I know coming from me- but to my amazement the lovely Hilson showed up fashionably in neon printed high-waist tights, and a hot-hot-hot fuchsia club top. OH and her heels were sky high! I loved the ensemble- very clubby- while still being IN fashion! 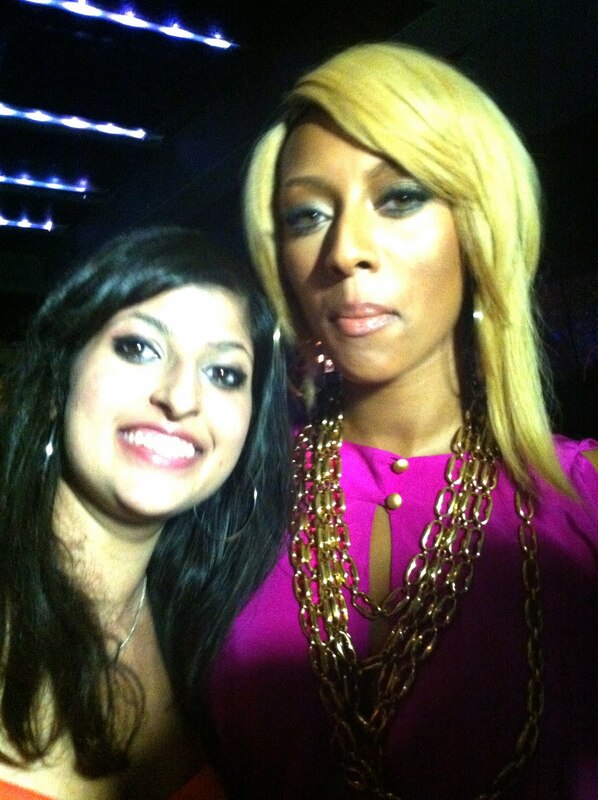 So, Alycia and I scrambled our way to the front to grab pics with the styling R&B artist. She's beautiful, kind, and a tall glass of water! 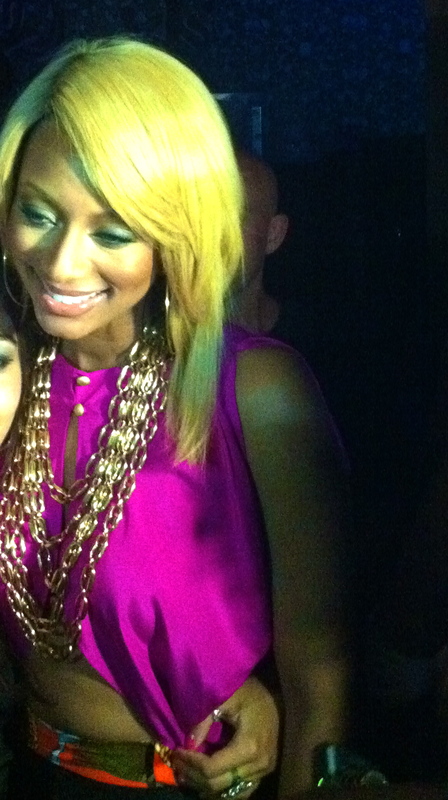 Keri Hilson- you're so gorgeous! Sandy Days- Pics and Video. What's In my Shopping Bag?